Are you constructing the most cost-effective mid-rise building? Take this short 5 questionassessment to find out. In general, do you typically utilize efficient construction methods to reduce the construction schedule? Do you use sustainable materials as a way to reduce costs? Do you use panelized wall systems to reduce on-site labor costs and construction waste? Do you frequency assess the rates you paying for builders risk insurance? Do you consider the strength-to-weight ratio when selecting a framing materiel? 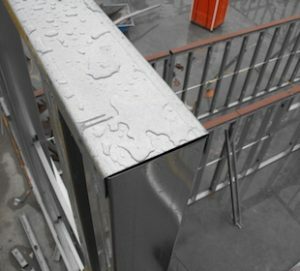 Builders may be missing a major opportunity to trim their insurance costs where they might least expect it - through the use of cold-formed steel framing. These steel frames offer a cost savings approach to construction insurance, plus many other advantages. Answer these five questions to discover your project’s cost effectiveness. According to a recent article in Construction Dive, new trends in the healthcare industry are leading to an increase in outpatient facilities. According to a December 2015 Accenture report, there will be more than 2,800 in-store clinics operational by the end of 2017, a 47% increase from 2014. In order to get medical facilities up and running quickly, modular and off-site construction is growing in popularity. BuildSteel’s 10 Ways Cold-Formed Steel Framing Can Lower Your Total Construction Costs indicates that panelizing CFS wall panels off-site reduces on-­site labor costs and construction waste. It cuts the total project cycle time and improves quality control, since CFS components can be created to exact measurements. Choose high-quality and affordable cold-formed steel. Take advantage of lower insurance rates on noncombustible cold-formed steel. Non-combustible structures, like those built with cold-formed steel framing, have a better loss history than combustible wood framing. This often translates into lower costs and broader overages for many types of construction insurance. The US Assure Builders Risk Plan, insured by Zurich, automatically offers low noncombustible rates on cold-formed steel framing.